PX-80 - Solvotek Mühendislik ve Bilişim Hizmetleri Tic. Ltd. Şti. PX-80 - Solvotek Mühendislik ve Bilişim Hizmetleri Tic. Ltd. Şti. Paracosm’s PX – 80 scanner is an innovative SLAM-based 3D mapping solution that incorporates LIDAR, color imagery and IMU data to collect survey-quality point clouds quickly and accurately. PX-80 is compact, completely mobile, and capable of full 6-DoF positional tracking. 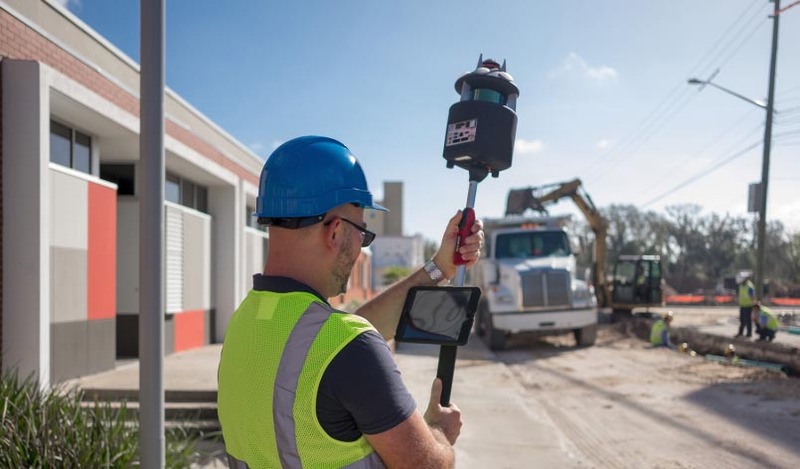 Mobile LiDAR scanning offers many advantages over aerial and conventional ground surveys, namely its flexibility, simplified workflow, and rapid data collection. This non-invasive survey method may be used day or night, indoor, outdoor, with an efficient acquisition rate of 300,000 points per second.